A Level results are in – How about a season in the snow? However, most school leavers don’t really have much of a clue what they want to do in resort, they just know they want to spend a season in the mountains. Finding the right job role with the right company can make a huge difference to the overall enjoyment of the season. So what jobs are there in the Alps and how do you go about applying? CHALET HOST – Hosting is the most popular role out there purely because it’s the role with the most available positions. It can be a rewarding role, meeting some great guests, some of whom you’ll remain in contact with after they’ve left. However, most people have an image that hosts don’t work much and spend their entire season skiing or sitting around and eating cake. Chalet hosting involves a lot of hard graft and anti-social work hours. Yes, you can get masses of time on the hill if you are efficient but initially you can expect to be in your chalet from 6-7am until midday and then from 6pm until 11pm. You do normally get one day off BUT that’s counterbalanced by the transfer day which starts often at 5am and goes on until 11pm. If you get any time out of the chalet within this time, you’ve done very well indeed! However, working for a smaller company brings different pro’s and con’s to the table. You tend to find you are valued as an employee more, the company owners are generally on hand and visible most days of the season. You feel looked after and very much part of a team. The negative side to this argument is you are expected to care much more about your job. With the smaller operator, their livelihood is on the line and their success will depend on the quality of food and cleanliness of your chalet. That said, a lot of new staff members for smaller companies prefer that increased element of job satisfaction and support from the senior members of the company. It often results in a really close-knit bunch of mates. NB – Chalet hosting isn’t just about cooking lovely 3 course meals and enjoying a glass of wine with your guests, it also involves scrubbing bathrooms, mopping lots of floors and changing lots of beds! The best way of finding a role with one of the big tour operators is to call or email their recruitment staff. They are all targeted on recruitment figures over the summer and are desperate for good candidates. A good candidate should therefore be able to decide who they want to work for, not the other way round. Getting a job with one of the smaller companies is a lot tougher because their online presence is quite small. We would recommend searching online for chalet operators in specific resorts that you’d like to work in. Avoid the ones you’ve probably heard of like Crystal or Neilson and focus on ones you haven’t, such as TG Ski or Alpine Generation. RESORT REPRESENTATIVE – Everyone loves their chalet host, everyone hates their Rep. Reps generally are the villain of the piece, they are there to maximise revenue for the ski company by selling the guests not only essentials such as lift passes but also excursions such as skidooing and bar crawls. Guests tend to only see their rep if they are being sold something or there is an issue with the holiday. Reps tend to only work for the larger companies, so it’s difficult to find a position with a smaller, independent operation. RESORT MANAGER – Most first time seasonnaires won’t be qualified for this role. It tends to be dominated by return seasonnaires or more mature staff members on a career break. The buck stops here and skiing time can be very limited indeed. This role is more for those in the ski industry for the long haul rather than a season or two. DRIVER – Quite a self explanatory one this. Lost of resorts are spread out which means many chalets are not within walking distance of the skiing. Thats when the driver steps in. The role is really only suitable for confident drivers as it will involve lots of driving in pretty treacherous conditions. The hours can be good, most driver services run at set times in the mornings and afternoons which means time on the hill is decent. One thing to bear in mind with this role, the driver tends to be the resort dogsbody, you’ll not only be running guests around but also running countless errands. Nothing grates more than having just put your ski boots on then receiving a call asking you to run a broken dishwasher down the mountain. This happens A LOT! All company sizes need drivers, so again just contact the large companies directly and search for the smaller ones online. 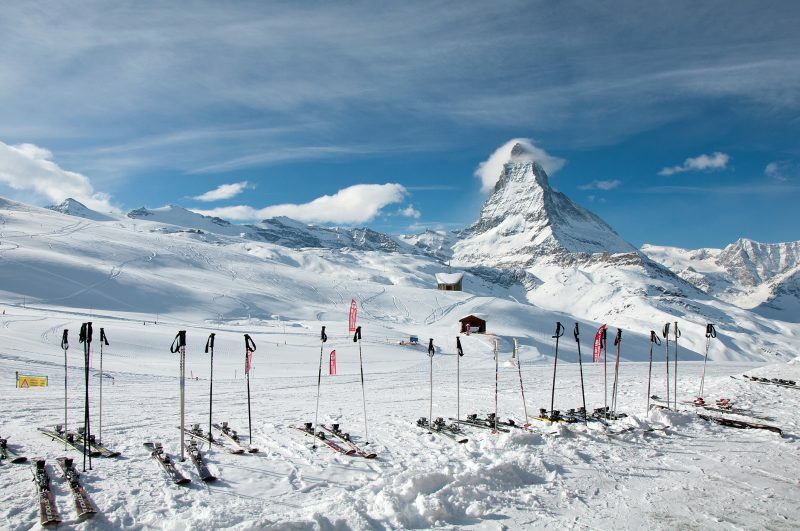 SKI TECHNICIAN – First of all, this is a job not generally offered by tour operators so it won’t come with seasonal accommodation or a lift pass. It’s a great job if you are looking to not have to interact with the skiing public and have lots of time on the hill but it does mean you have pratically no disposable income and live on a shoe string. Also, the work is VERY physically demanding. One of the plus points is if you don’t have much of the local language, you’ll pick up a lot in this role. As to how to get this role, it’s tricky. Most of the positions are picked up by people in resort already that have made their way to the Alps and then looked for work, not the other way round. BARMAN – There are a few of these roles offered by tour operators that include accommodation etc. but the vast majority are offered by the bars themselves which means you need to sort out a place to live and buy your own lift pass. The perks are obvious, you spend every waking moment either on the hill or in the bar. Burning the candles at both ends is very physically demanding. The only real way to get these roles is to spend lots of time on websites and emailing your CV to any bar you can find! To conclude, there are lots of roles in the Alps. All of them involve lots of hard work but that’s far outweighed by the enormous amounts of fun you’ll have and the lifelong friends you’ll make. One of the best reasons for doing a season, especially in a chalet, is it teaches you so many lifeskills just before you head to uni. Not only will you be able to cook 6 x 3 course meals but you’ll be able to converse with people from all walks of life without breaking a sweat. If you are planning on a gap year and you haven’t made plans yet, do a season, you’ll never regret it.